Do you know what is even cooler than zip lining in Cabo San Lucas on the longest zip lines in the country? Moon Zipping is zip lining across Wild Canyon’s zip lines by moonlight. Wild Canyon is home of the longest zip lines in the entire country. Even in the daytime this is a thrilling activity, but the moonlight and darkness makes this activity even more thrilling. Gaze up at the stars while gliding through the crisp nighttime Cabo San Lucas air. When can I go Moon Zipping? Wild Canyon offers Moon Zipping every Tuesday night at 6:00 pm. The adrenaline-packed activity lasts for three and a half hours. During this time, the sun dips down and the moon and stars come out to brighten up the night. For all guests staying at Cabo Villas Beach Resort, there is an air-conditioned van that will come pick you up and take you to the park for your Moon Zipping experience. The van will also bring you home when you are finished! This is all included in the cost of Moon Zipping. After you are finished experiencing the thrill of Moon Zipping, you might work up an appetite. The Lion’s Den Restaurant at Wild Canyon has got your back… or perhaps, your stomach. The Lion’s Den offers a free burger to those who participate in Moon Zipping. Relax with friends while you enjoy your meal and a couple of drinks. You will need time to unwind after the excitement of Moon Zipping. When you book your Moon Zipping adventure online via the Wild Canyon website, you get a free T-shirt upon your arrival at Wild Canyon Park. You can also get a $15 credit certificate when booking through the website! Cabo is known for being one of the safest places in Mexico for vacationers, but that doesn’t mean you should leave your travel common sense at home. We’ve compiled a list of vacation safety tips that any traveler would be smart to follow. Check out the following tips to help you and your family stay safe. Pick pocketing is an issue that can happen anywhere with anyone, but travelers seem to be a constant target. This may be because they are easily distracted by the sights and tend to carry large amounts of money with them. Try to avoid both of these tendencies so you don’t end up another person who had their things stolen while on vacation. Although it may be difficult to take your eyes off of the many sites while moving from A to B, pedestrians should keep an eye out for cracks and holes in the road. Walkers should be aware of their surroundings and double check both ways before walking across the street. If you decide to hit up the nightlife in Cabo San Lucas, it is a good idea to hold onto your drink. 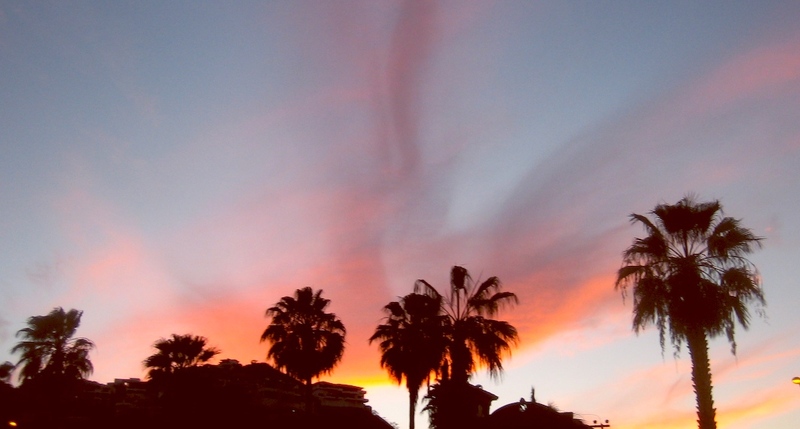 Just like any other party destination, Cabo may have people on the hunt for vulnerable drinks and people who leave them out-of-sight and out-of-mind. Don’t be one of those people that leave their drink unattended. The Pacific Ocean is so mesmerizing to look at for a reason –the water is unpredictable and in constant motion. It is okay to play around the shoreline but the further you go out into the ocean, the more danger you are putting yourself in. If you aren’t a strong swimmer, be cautious. Testing your limits could get you sucked into the waves, so keep to the shore. Besides, there are multiple pools for you to swim in at the resort. One of the most dangerous things you can do is walk alone, especially at night if you have been drinking. Be smart and stick to the buddy system. For those visiting Mexico from other countries, like the United States or Canada, you want to be sure that you remember your proper identification. Nothing can ruin your vacation faster than forgetting proper id to get through customs. Bring any medication along with the prescriptions, but be sure to only bring as much as you need for the duration of your trip. If the Mexican authorities suspect you have more medication with you than you need, they may detain you. Also be sure to follow all TSA regulations. You don’t want to miss your flight or delay the fun you could be having on your trip! One final packing tip-be sure to pack sunscreen and after sun care products, like aloe gel. A bad sunburn can put a damper on your vacation. 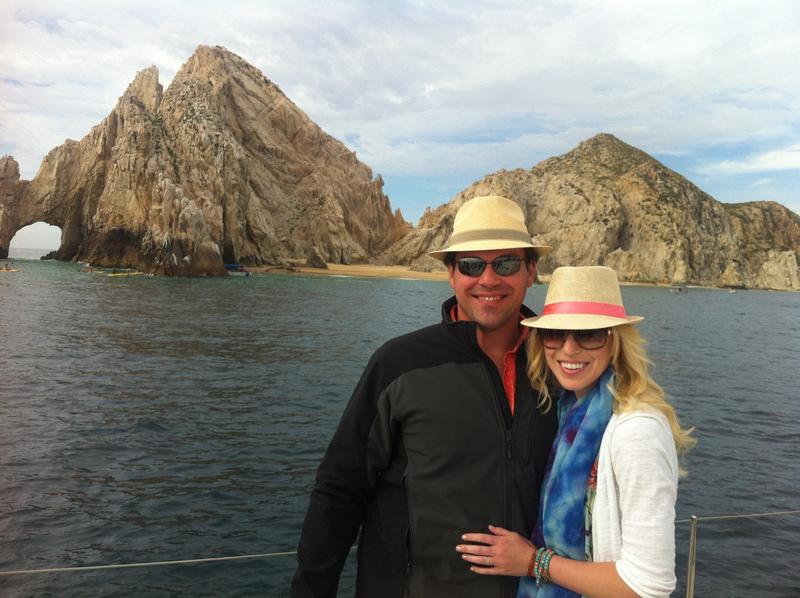 For more advice on making your travels in Cabo a breeze, check out other blogs. Also, look the current discounted vacation packages provided by Cabo Villas Beach Resort and Spa. A honeymoon in Cabo San Lucas would obviously be full of warm weather and beautiful views; however there is a lot more to Cabo than the sun and looks. Check out all of the activities you and your significant other can take advantage of while in Cabo celebrating your love. Horseback Riding – Nestle into the saddle and ride one of Cabo’s exotic trails or ride right along the beach, either way it’ll be a fun and relaxing activity for you and your loved one. ATV Riding – Are you more of a dare-devil couple? Or maybe just want to try it out for the day? Riding an ATV will be a rush like no other that just may lead to a day full of taking chances. Dinner – Why not take your taste buds on vacation too? Cabo has various memorable dinners to choose from and will surely have something to keep every couple’s belly full. Spa – Take a break with the world with the person you will spend the rest of your life with. A relaxing spa day is the perfect way to awaken your soul and make way for a lifetime of memories to come. Cruises – Whether it’s a dinner cruise or a sunset cruise, try sailing away for a while. You can get a close-up ocean view of Land’s End and all other big sites while enjoying time with your other half. Kayaking – This is about as close as you can get to the water without actually having to jump in. Grab hold of an oar and your sweetie and you’re all set for this one-of-a-kind view and experience. 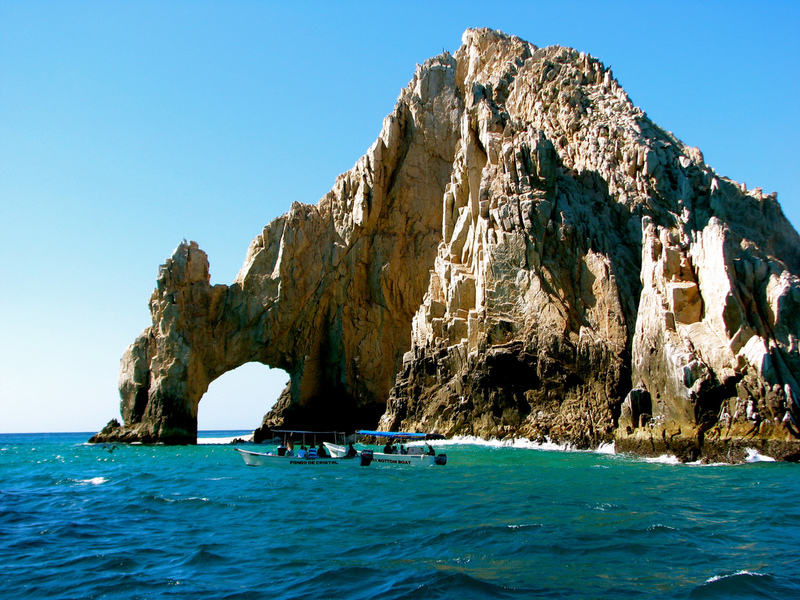 Helicopter Tour – The best way to see Cabo San Lucas is to see it all, and a helicopter ride is just the way to do that. Soar over the beaches and sites and know what it’s like to be on top of the world. Parasail Together – Fly over the water for a while in a parasailing ride. This is a popular activity for all couples: the relaxed, the dare-devils and everyone in-between. Submarine Tours – Ready to explore the underworld? A submarine tour will put you face-to-face with it. The world of the deep sea will provide the perfect backdrop of romantic and memorable scenery for you and your newlywed. Deep Sea Fishing – Calling all dare-devil couples or couples looking for an exciting adventure – deep sea fishing is the perfect way to challenge each other and have a blast. Outback Safari – Get into the wild. There really is no experience quite like riding camelback through an exotic land. This particular adventure is full of spectacular views and memories. Car Rentals – Some couples just want to do their own thing. That is where car rentals come in handy. Renting a car allows you to control your entire day; you get to decide where you want to go and when. Do you want a honeymoon full of memories that is still affordable? Check out the discounted packages that Cabo Villas Beach Resort and Spa have to offer you and your loved one.